Give a Gift to Homeless Outreach This Season! Doing some Amazon shopping this holiday season? We hope you’ll consider heading over to our Homeless Outreach team’s wish list and donating an item or two! 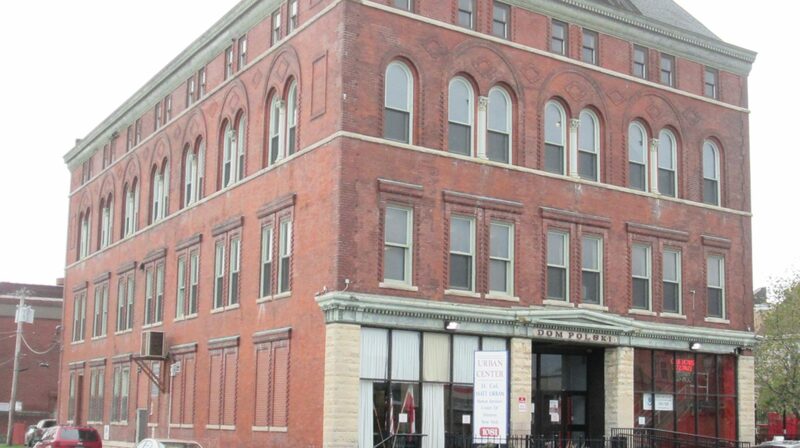 The Matt Urban Outreach team meets individuals that are experiencing homelessness where they are at. We meet individuals under bridges, in an encampment, at a shelter, or in a bus terminal, for example. 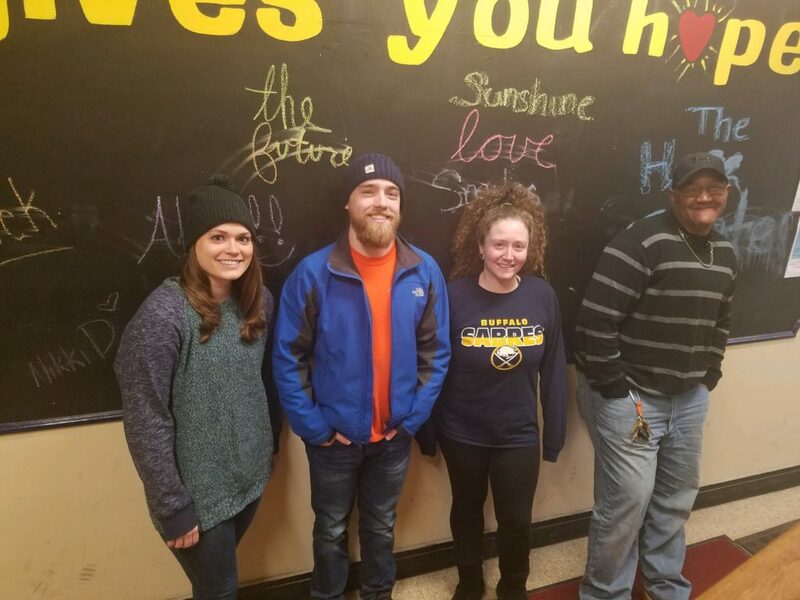 We help the homeless community in Buffalo meet their basic needs by supplying items such as: blankets, food, water, socks, clothing, underwear, gloves, hats, and anything else that the client may need. 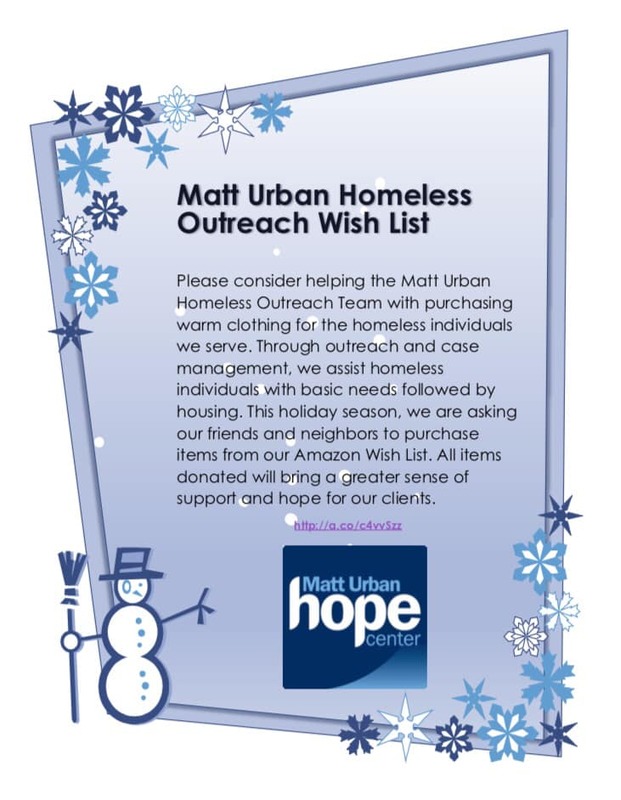 Any donations made to the Matt Urban Outreach Team will be put to good use, as it will be distributed to those who are without homes this holiday season. To see our Amazon Wish List, click here. Please submit cover letter and resume to Joe Creek at jcreek@urbanctr.org.